Note the Nikau Palms (Rhopalostylis sapida) endemic to New Zealand. Poporari River is a wild river of New Zealand’s South Island that flows from headwaters and chasms below the rugged mountainous Paparoa Range, westward into the Tasman Sea. 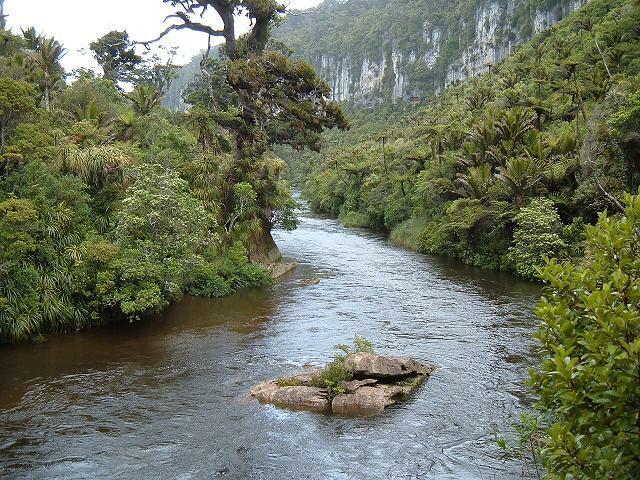 Since 1987 the river and some of the range have been rightly protected within the Paparoa National Park. 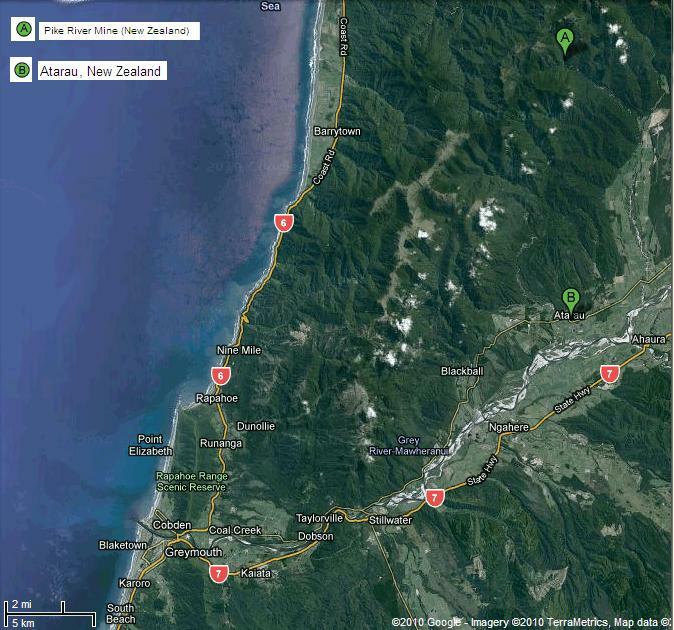 But the Pike River flows from the other (eastern) side of the Paparoa Range, just outside the national park. It is a tributary to Big River which in turn flows south of the Paparoa Range into the Mawheranui (Grey River) and eventually westward through the town of Greymouth and out to the Tasman Sea. Yet of the Poporari River and the Pike River, their forest and riverine ecosystems are the same. ‘Paparoa‘ is Māori for ‘long place‘. The Paparoa Range extends parallel to the west coast for about 50 km south-south-west from the lower Buller Gorge, between the Grey and Inanga-hua Valleys and Tasman Sea and the coastal plains. 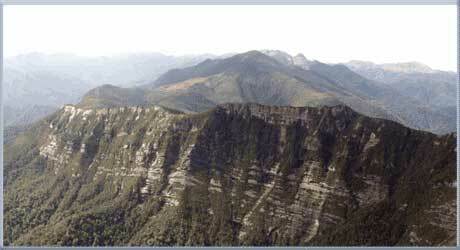 The range aproximates heights of over 4,000 ft with the heighest peak being Mount Uriah at 4,925 ft. The Paparoa Range bedrock is of granite formed during Earth’s pre-Cambrian Era (over 600 million years ago), and the range subsequently uplifted during the early Pleistocene Epoch (2.6 million years ago), was then carved by glacial action during the Ice Age 20,000 years ago, and since eroded by water and wind leaving sharp ridges, steep cliffs, cirques, and deeply incised rivers and streams. Limestone underlies most of the Paparoa National Park and it is responsible for the area’s amazing landforms – high coastal cliffs, impressive river canyons, delicate cave formations and the bizarre ‘pancake-stack’ coastal formations that the area is so well known for. The national park is perhaps most famous for the ‘pancake rocks’ and blowholes of Dolomite Point, near the little settlement of Punakaiki. The Park is also famous for Cave Creek which flows through a 30-metre chasm emerging from a limestone karts system deep beneath the Paparoa Range. Paparoa National Park is characterised by luxuriant coastal forest, limestone cliffs and canyons, karst systems and underground streams, and an absolutely spectacular coastline. Vegetation within the park is wide and varied, due to the mild climate and high fertility. With an annual rainfall of 350–500 mm, the Paparoa Range below 3,500 ft is dominated in thick Podocarp Hardwood Forest (broadleafed) canopy. Above 3,500 ft, a thin narrow belt of subalpine scrub giving way to mountain grasses on the tops. Podocarp trees belong to a coniferous family known as Podocarpaceae of which there are seventeen. The best known are rimu, kahikatea, miro, mataī and tōtara. In its natural state, a podocarp forest can be luxuriant with a dense undergrowth of shrubs, ferns and tree-ferns. The few precious remnants of forest which survive often contain the highest diversity of plants and animals in the region. They are a left-over from an ancient forested time that dates back to Gondwanaland of the Late Cretaceous Period (144 to 65 million years ago). 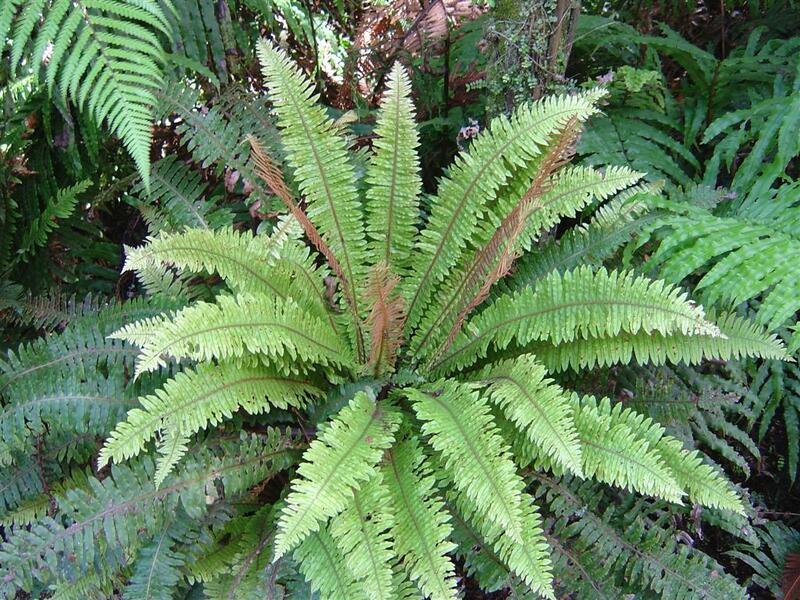 One of the significant understory elements is the Crown Fern (Blechnum discolor), which is endemic to New Zealand. 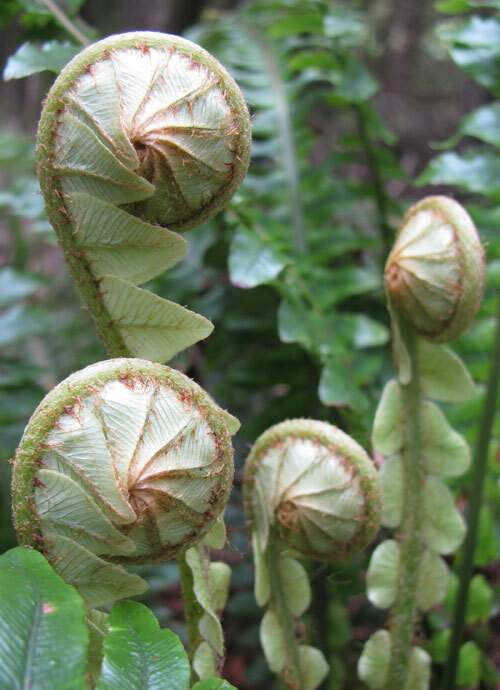 The koru (Māori for “loop”) is a spiral shape of a growing fern based on the shape of a new fern frond and symbolizing new life, growth, strength and peace. 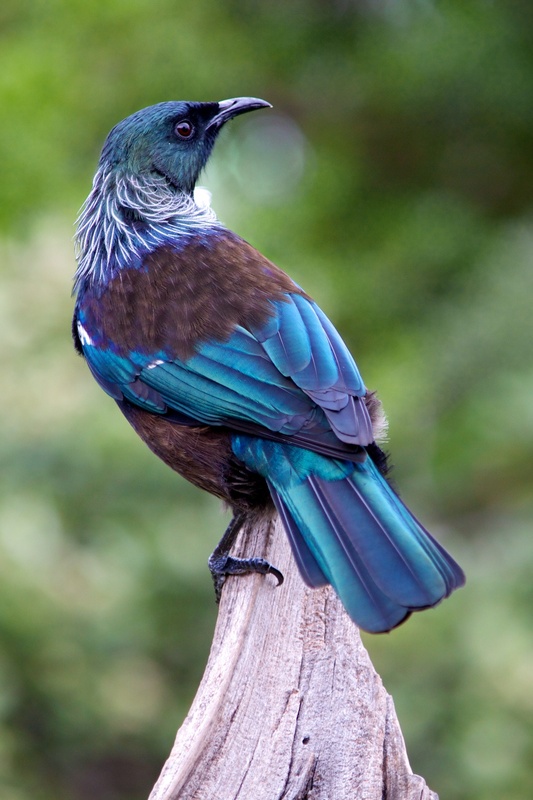 Forest birds such as Tui, Korimako (Bellbird) and Kereru (New Zealand pigeon) migrate seasonally between coastal and upland forests. 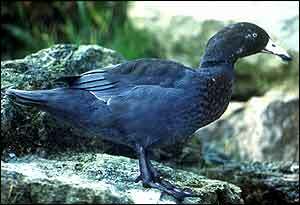 The Titi (Westland Petrel) colony south of the Punakaiki River is the only known place in the world where these burrowing seabirds breed. The birds live mostly out at sea, but during the breeding season you can see them flying to and from the colony at dusk and dawn. 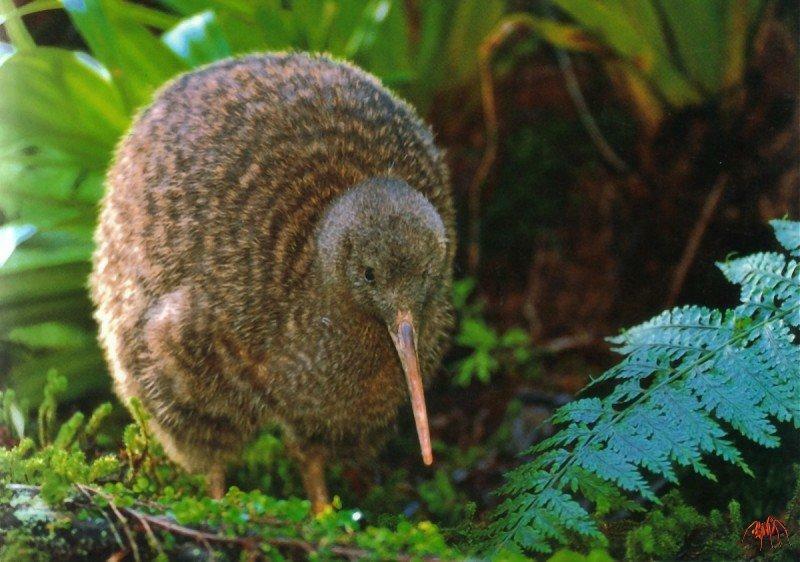 The nocturnal and secretive Great Spotted Kiwi (Roroa) is not often seen. A rare species of kiwi endemic to the South Island of New Zealand – sadly classified as ‘nationally vulnerable’. Finders Keepers or Might is Right? Native Māori tribe, the Ngāti Wairangi, had traditionally lived along the Te Tai Poutini (west coast) including in the area around Greymouth (the mouth of the Grey River). Ancestrally, the tribe apparently originated from Hawaii in the 15th Century. But irrespective of ancestral authenticity, the native Māori Ngāti Wairangi lived around and called the river valley area Māwhera. Thankfully, due to the natural mountainous terrain dividing the east and west coasts, Ngāti Wairangi territory was protected for generations from invasive tribes. It is generally recognised by New Zealand historians that the arrival of Māori to New Zealand included the introduction of the Polynesian Rat (Rattus exulans) known to the Māori as ‘kiore‘, which being prolific breeders would have had a devastating impact on native ground dwelling birds and small animals and reptiles. Similarly, it is generally recognised by New Zealand historians that the original eleven distinct species of Moa (endemic flightless birds) were hunted into extinction by the Māori by about 1400 AD. A joint Māori and New Zealand Government sanctioned reported statement about the validity of such history would secure the truth, should such can be proven true. Myths can be dangerous. ‘Māwhera‘ (Greymouth area) became known for its Pounamu (precious and rare ‘greenstone‘, like jade). The unique nature of pounamu had a deep spiritual significance in Māori life and culture and was and remains highly prized. It naturally is found along the river bed of the Upper Arahura River around Greymouth, particularly at Kaikanohi, Pahutani, and at Kotorepi. 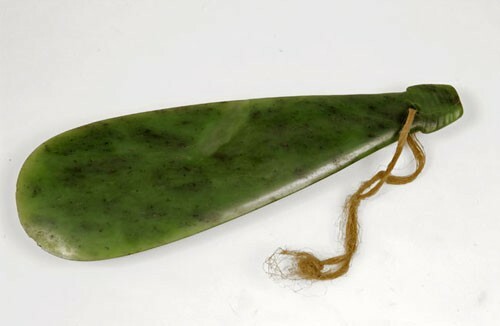 The greenstone patu (‘mere pounamu’) is the most revered of all traditional Māori weapons and chieftainship. Over time, the Ngāi Tahu tribe from the north learned about the pounamu and fought the Ngāti Wairangi for control of the stone. A number of battles ensued, and ultimately Ngāi Tahu wrested control of the resource from Ngāti Wairangi. This West Coast section of Ngāi Tahu became known as Poutini Ngāi Tahu, and it incorporated both Ngāi Tahu and the remnants of Ngāti Wairangi. Poutini Ngāi Tahu were then able to supply their eastern relations, and Kaiapoi became a focus of pounamu trading. What happened to the Ngāti Wairangi and their land rights? In 1846, English colonial explorer Thomas Brunner sailed to the area in 1846 and discovered coal along the Grey river valley. The area was soon settled and exploited by the English colonists, usurping themselves as ‘The Crown‘, and with coal mining industry taking off in the 1880s as well as gold mining and logging of the ancient native forests. Greymouth and the Grey River were duly named after a colonial governor of the British Empire. By the 1860s, the English colonists, aserting themselves as ‘The Crown’, began intruding upon Ngāi Tahu’s access to pounamu. In 1874, a Dunedin based lapidary (gemstone) firm was purchasing the greenstone from Greenstone Gully near Greymouth, at £8 per cwt. In 1904, a Wellington Jeweller had paid to 5/- per lb for two tons of Westland greenstone to ship to lapidaries in Amsterdam, Holland, for shaping into Māori curios (tikis and the like) . In 1912, the amount of greenstone calculated as being able to be quarried at Tara Tame, Westland, amounted to 270,000 tons. Greenstone suitable for working was valued at from 1/-to 6/- per lb., or in bulk £56 to £672 per ton. It wasn’t until 1997 under the Ngāi Tahu (Pounamu Vesting) Act that the New Zealand Government, asserting its absolute sovereignty, recognised the legal ownership of pounamu to Ngāi Tahu in its natural state and in Ngāi Tahu’s tribal area, including unsettled bits of the coastline. Meanwhile, colonists had introduced rats, stoats, possums, goats and deer to New Zealand and they flourished and wiped out many native fauna. The coal deposits in the West Coast area are referred to as the Paparoa and Brunner Coal Measures, concentrated at Greymouth, Buller, Inangahua, Pike River and Stockton ‘coalfields‘. Two decades after Brunner discovered coal 7 km upstream from the mouth of the Grey River in 1864, coal mining begun at Coal Gorge (later called Brunnerton, then later just Brunner). Once rail and ports were completed to Greymouth in 1882, large scale mining commenced and facilitated industrialised coal mining in the area. Coal mining has since been the dominant industry ever since, containing virtually all New Zealand’s bituminous (coking) coals. 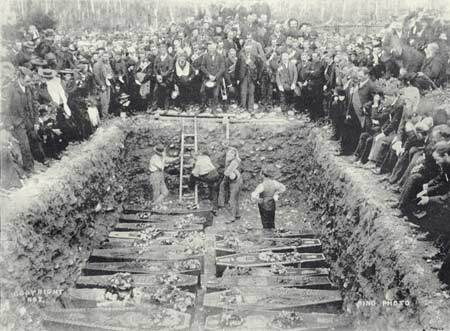 On 26th March 1896, a tragic explosion deep in the Brunner Mine killed all 65 miners inside. It seemed most likely that the explosion was caused by firedamp, a common hazard in bituminous (black) coal mines, where fammable methane gas accumulates under pressure in pockets in the coal and adjacent strata, and when penetrated accidentally ignites and explodes. Extraction of bituminous coal demands the highest safety procedures involving attentive gas monitoring, good ventilation and vigilant site management. The Brunner Mine Disaster was labelled the worst mining disaster in New Zealand’s history. Coal production peaked in 1914, when 1.3 million tonnes were produced with 2550 employees. Following World War II there was a significant production decline as hydro-electricity and diesel fuel became more available. Loss of markets resulted in the closure of a number of mines. Up to 1973, most coal was extracted by underground methods. In the Buller and Stockton coalfields, coal continues to be extracted by opencast mining, while underground methods are necessary for the deeper coal seams of the Greymouth Coalfield and more recently at Pike River. Up until the 1980s, black coal from the Coast was used within New Zealand mainly for home and industrial heating (steam raising at dairy factories, as fuel at the Cape Foulwind cement works and in gas works). Since 1987, the Stockton Mine, 80km north of Greymouth, has been operated by New Zealand Government-owned coal-mining company, Solid Energy, in a partnership agreement with Downer Australia. Solid Energy remains New Zealand’s leading coal producer and the Stockton Coal Mine New Zealand’s largest opencast mining operation, with self-granted licence to operate for at least forty years to 2017 and beyond. Since 1990 around 90% of West Coast coal production has been exported for use as metallurgical coke in the steel making industry mainly in Japan, with the remaining 10% sold to industrial users and for electricity generation within New Zealand. Coal deposits have also been found in the Paparoa Range, including extensive seams in both the Greymouth Coalfield and the smaller, isolated Pike River Coalfield. Rail connections were built to provide access to the mines. In 2009, New Zealand’s Government proposed opening up 7,000 hectares of high conservation land to prospecting for valuable minerals in the Paparoa National Park and in other parts of New Zealand, including on the Coromandel Peninsula and on Great Barrier Island. In around 1996, Pike River Coal was set up by its mining founder, Gordon Ward, which became a subsidiary of New Zealand Oil and Gas (NZOG) subsidiary at the time. The company was formed chiefly to exploit the Brunner Coal Seam comprising lucrative hard coking black coal under the Paparoa Ranges situated 80 km north-east of Greymouth. Hard coking coal is an essential ingredient in the steel making process and at the time the commodity price was high in international markets, particularly due to demand in booming industrial India and Japan. Ward formed Pike River Coal for the business of mining and exporting at least 18 million tonnes of the 58 million tonne potential resource of the premium hard coking coal over a mine life of at least 18 years. The reserves lying in the Brunner coal seam are estimated to be the largest of their kind in New Zealand. Politically, Pike River Coal was expected to earn around NZ$170 million in export income annually. In 1996, after successful exploration and testing confirmed the potential resource under the Paparoa Ranges, Pike River Coal applied to the New Zealand Minister of Conservation to mine up to one million tonnes of coal annually inside the conservation area under the Crown Minerals Act. The application recognised the anticipated environmental pollution of acid mine drainage into the Pike River Catchment. Such sub-surface mining progresses below the water table, so water must be constantly pumped out of the mine in order to prevent flooding. 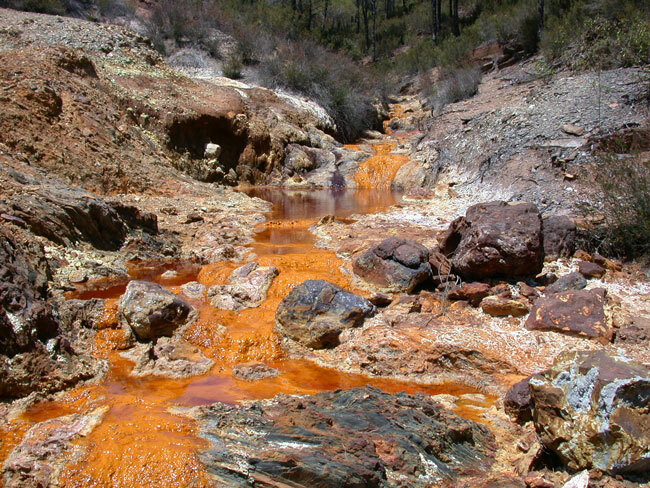 After being exposed to air and water, oxidation of metal sulfides (often pyrite, which is iron-sulfide) within the surrounding rock and overburden generates acidity. Due to the sulphur-rich chemistry of the coking coal, the acidity draining out of subsurface coal mines is sulfuric acid which is highly toxic to river ecosystems. So Pike River Coal offered the New Zealand Government $1.5 million in ‘compensation‘ to fund local environment and conservation programmes as well as associated ecological and biodiversity studies. This included setting up a pest control programme in the Pike River Catchment to help deal with the heavily infestation by the introduced pests – the Polynesian rats, stoats, possums, goats and deer. Eight years later in 2004 the Minister of Conservation, Chris Carter, finally approved Pike River Coal access agreement to underground mine up to one million tonnes of coal annually from under the Paparoa Ranges. inconsistent with conservation management plans. Further, there were concerns about adverse effects of acid mine drainage and the New Zealand Conservation Authority and the West Coast Tai Poutini Conservation Board objected to the mine. To Carter, and the Labour Party Prime Minister of New Zealand at the time, Helen Clark, who had also held the portfolio of Conservation, clearly the money made it right – “…politics without principle, commerce without morality..” ~ Mahatma Gandhi. Pike River Coal was expected to earn around NZ$170 million in export income annually. According to the Department of Conservation Report to the Minister, the upper Pike River Catchment on the eastern side of the Paparoa Range is very high in conservation values. 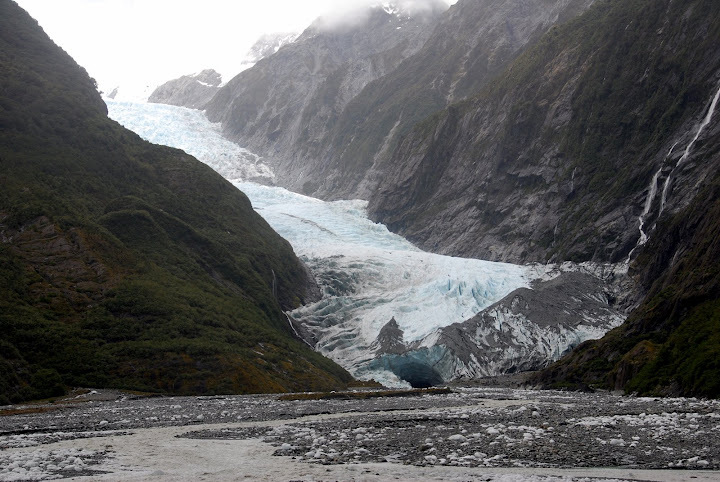 Approval of the Pike River Coal Mine inside a highly sensitive conservation value area, placed environmental constraints on the design of the mining infrastructure which should have flagged a risk assesssment by the mining management. The ecological environment issues required restrictive mine access arrangements outside Paparoa National Park and limited drilling of ventilation holes. This apparently required the main drift tunnel to be drilled horizontally more than 2kms under the National Park in order to gain access to the coal resource. Normally mines are built atop the mineral to be extracted, if normal mining operations are being undertaking, thus boring down onto the resource, but also allowing lighter than air gases such as methane to escape vertically. So desperate was Pike River Coal to proceed that this horizontal access design became the only mine in the world to have its entrance below the coal resource and so to mine upwards to the coal resources. Methane, a lighter than air gas had nowhere to go. There was clearly a degree of Titannic ego stubbornness in the venture, dismissive of the abnormal environmental conditions. Approving Pike River Coal proceeed in high conservation, demanding high risk design was inherently flawed by compromise. Was Pike River Coal’s decision to proceed an abject failure in operational risk management by informed qualified experts or by management overriding the operational risks in favour of the financial commitment and rewards. Another case of classic mining arrogance? I understand that you have approved the application of Pike River Coal Company for access for mining within Paparoa National Park and other conservation areas. I have to admit to being completely dumbfounded as to how approving mining in national parks and conservation areas can possibly further the purpose of conservation, preservation and protection. How could you possibly have approved mining in a national park? Why did you not simply decline the application? Can I please register my utmost disapproval of this decision. If a Minister of Conservation from a Labour-led government cannot keep mining out of national parks then who will? I request under the Official Information Act 1982 a copy of the record of your decision under the Crown Minerals Act that gives the reasons for this disappointing approval. Thank you for your correspondence, regarding the Pike River Coal Company’s application for access to operate a coalmine in the Pike Stream catchment in the eastern Paparoa Ranges. I have approved in principle Pike River Coal Company’s application for an access arrangement to mine the coal deposits in the headwaters of Pike Stream on the West Coast. My approval, however, is subject to the company and my department reaching a satisfactory agreement on the terms and conditions of the company’s access arrangements to the area, including financial assurances such as bonds and insurances. This approval is conditional on my being satisfied that the terms of the access agreement achieve the higest possible environmental safeguards so that the conservation values of the area are protected as fully as possible. I am aware that this mine does represent a significant intrusion into an area of high conservation values and a decision on whether to allow it to go ahead has been a very difficult one to make. I have considered the fact that the mine is mostly underground and its visual footprint and its visual footprint above ground is small (10 hectares) compared with the large area of protected landscape surrounding it (88,000 hectares). The lesser environmental impacts of underground mining have been recognised by environmental groups. The Royal Forest and Bird Protection Society, while critical of the Pike decision, has noted that, compared to opencast mining, underground mining reduces the impacts on the landscape, wildlife habitat, vegetation and public access. I agree. I appreciate and can understand your concerns for the protection of public conservation lands. I agree that the Paparoa Range is an important area for nature conservation, recreation, tourism and for landscape protection. The significance of the Paparoa Range has been recognised over the years by successive Labour governments. 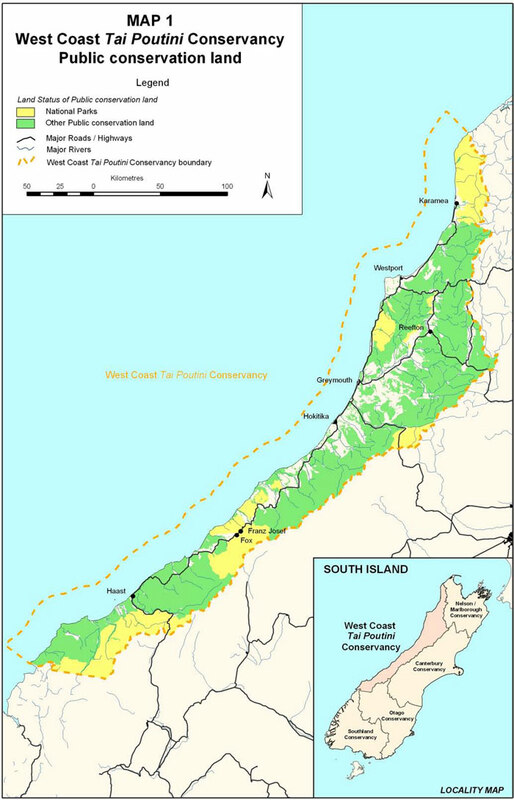 This has included the formation of the Paparoa National Park, gazettal of a number of ecological areas and the Paparoa Wilderness Area, and ending all logging of publicly owned indigenous forests along the range and protecting these areas as public conservation land. These decisions were often made in the face of strong local opposition. Direct human impacts on the heritage values of the public lands of the Paparoa Range, and of the West Coast generally, are at the lowest they have been in more than a century. 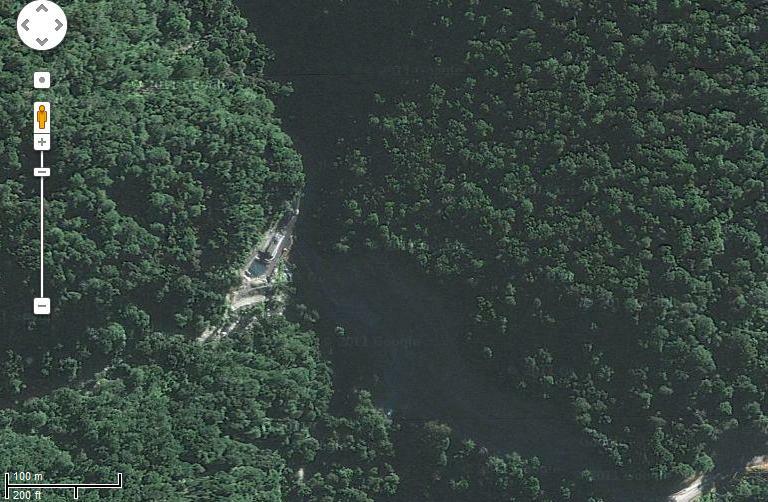 I believe my conditional approval of this underground mine needs to be seen in this wider context. Thank you for your letter of 14 March 2004, requesting a copy of the record of my decision under the Crown Minerals Act 1991, to conditionally approve Pike River Coal Company’s access arrangement application at Pike Stream on the West Coast. Please find attached a copy of the relevant paper, excluding the financial amounts related to the proposed financial assurances, and excluding the compensation amounts that were not referred to in my media release of 12 March 2004. These financial amounts have been deleted under section 9(2)(k) of the Official Information Act 1982, to prevent the disclosure or use of official information for improper advantage. With regard to the information I have withheld, I do not see that my reason for withholding the information is outweighed by other considerations which render it desirable, in the public interest, to make that information available. You are entitled to seek an investigation and review of my decision by writing to an Ombudsman as provided by section 28(3) of the Official Information Act. I have also enclosed a copy of the media release statement that went with my decision. In your letter you refer to mining within a national park. Please note that this conditional mine approval does not provide for mining in the national park apart from the provision of four emergency exits. Thank you for your letter of 29 March 2004 and for your letter of 8 April 2004 which enclosed the document “Pike River Access Arrangement” being the record of your decision under the Crown Minerals Act 1991 to conditionally approve Pike River Coal Company’s access arrangement application at Pike Stream on the West Coast. Obviously you decided that the s 61(2)(d) matters outweighed the s 61(2)(a), (b) and (c) matters as you chose the option on page 16 to approve access. I request under the Official Information Act 1982 your reasons for your weighting of the s 61(2) matters and for deciding on the option of approving conditional access. In reply to your letter of 12 May 2004, I can advise that I decided that the section 61(2)(d) and (e) matters of the Crown Minerals Act 1991 outweighed the section 61(2)(a), (b) and (c) matters. My decision was based on the information set out in the departmental submission and froma site visit. No arithmetical weighting was given to the matters to be considered under section 61(2); rather my decision was based on the totality of the evidence before me. The details of the proposed partial safeguards and the compensation package are set out in the departmental submission. Miner Gordon Ward, ahead of public listing on the New Zealand Exchange, became managing director and chief executive officer from May 2007 until significantly 1st October 2010, afterwhich Peter W. Whittall became Director and Chief Executive Officer of Pike River Coal Ltd. Two months later came the Pike River Mining Disaster. The timing of Ward’s departure is interesting. Until his departure, Ward had led Pike River Mine from its initial conceptual design for some fourteen years since 1996, so why leave? Other company directors included John Dow, Stuart Nattrass, Arun Jagatramka, Raymond F Meyer, Roy Antony Radford, and Dipak Agarwalla. 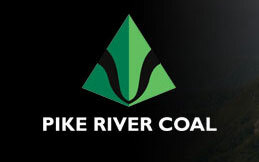 In July 2007, Pike River Coal Co Ltd launched on to the New Zealand Exchange to raise revenue through an Initial Public Offering (IPO), afterwich Pike River’s largest shareholder NZ Oil and Gas maintained its 29% stake, with Gujarat NRE Coke (7.14%), Saurashtra Fuels (5.5%) and the remaining equity spread across public stakeholders. Over $100 million was invested into the West Coast mine development and coal production commenced in October 2008 making Pike River Mine the second largest hard coking coal export mine in New Zealand. It is located about 50km north-east of Greymouth in the west coast region of South Island. The mine is owned by Pike River Coal, the only listed coal mining and export company in New Zealand. The company is owned by New Zealand Oil & Gas (29%), Gujarat NRE Coke (7.14%) and Saurashtra Fuels (5.5%) and the remaining by public stakeholders. 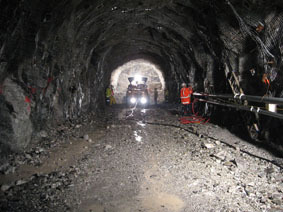 The mining on Pike River Coal reserves was started in October 2008 by digging a 2.3km access tunnel under the Ranges for two years. The Brunner coal deposit seam runs 6.5km north-south (length), 1.5km east-west (width) and has a thickness of about 7m. The Brunner seam has estimated in-ground reserves of 58.5mt. The estimated recovery from the seam is 18mt over its 18-year mine life. 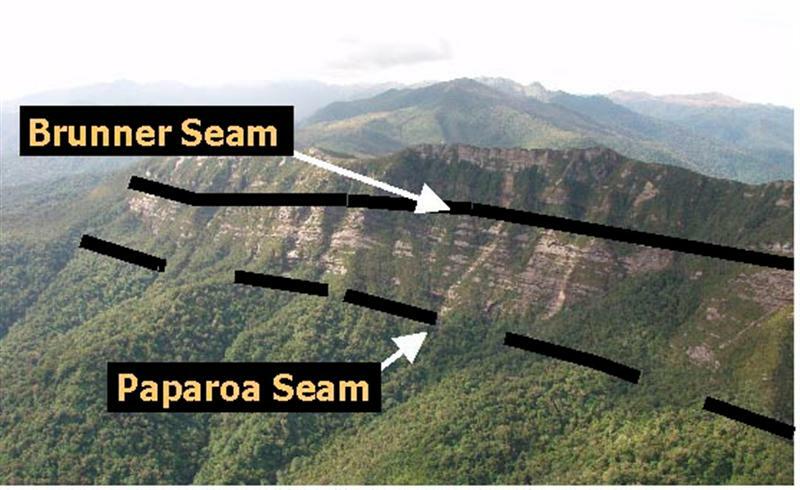 Paparoa seams lie about 200m beneath the Brunner seam. Initial drilling estimated an additional potential recovery of 8mt from this seam. The Pike River used two mining methods which include creating roadways in the Brunner seam through large cutting machines and using hydraulic monitors to break the coal face. The mining was initially done using a NZ$5m road-header machine with tungsten tipped blades. The water cannons use high pressure blasting with water to break coal at a rate of 2,000 tonne/day. The crushed coal is then washed downhill through a 10km-long, low pressure, slurry pipeline to a processing plant. 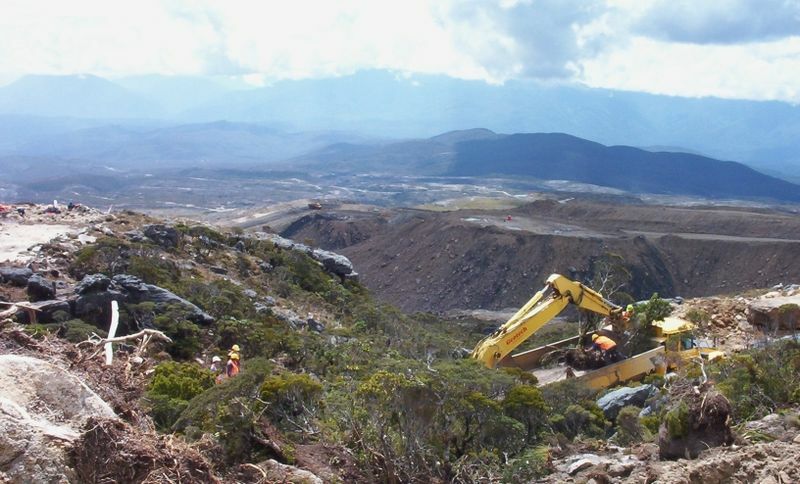 A 10 km access road to the mine site was constructed in August 2006. In June 2008 TNL Group was contracted for trucking the hard coking coal processed at the Pike River coal preparation plant to the rail loadout facility at Ikamatua. In late 2008, the mine’s ventilation shaft partially collapsed, delaying production and further production issues occured afterwards. An underground trench or ‘graben‘ was encountered immediately to the west and north of the pit bottom and Pike had to drill and blast through non-productive rock to get to the coal seam. Work began on a ventilation shaft that was 100 m deep, 4m diameter wide in 2008, but ran into ‘difficult rock conditions’. Before reinforcement of the shaft could be completed, the walls of the shaft collapsed. Still, within a month in January 2009, a NZ$20 million coal preparation plant was constructed and by mid-2009 production of hard coking coal from Pike River Mine had started. By February 2010 the first export shipment of 20,000 tonnes was made to coking plants in India for steel production. Mining financial management had overruled mining operational management absolutely and irresepectively. for its flawed compromise between conservation and mining. “No Mining Pure New Zealand”! 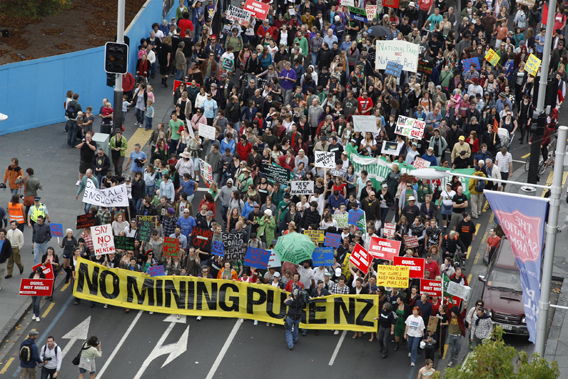 In May 2010, 40,000 New Zealanders protested a “No Mining” message to ask their government to simply respect New Zealand. This was the largest grassroots protest by New Zealanders in a generation. Later that year on 19th November a methane explosion inside the mine trapped 31 miners and contractors. Two managed to escape. The remaining 16 miners and 13 contractors ‘the twenty-nine‘ didn’t. Following a second explosion five days later, the 29 remaining men were believed by police to be dead. They remain there. This entry was posted on Sunday, April 21st, 2013	and is filed under Threats from Mining.